Hey Guys, While Using Whatsapp, Sometimes you have to copy multiple Whatsapp messages at once, and Share it With other friends or for any other purposes. 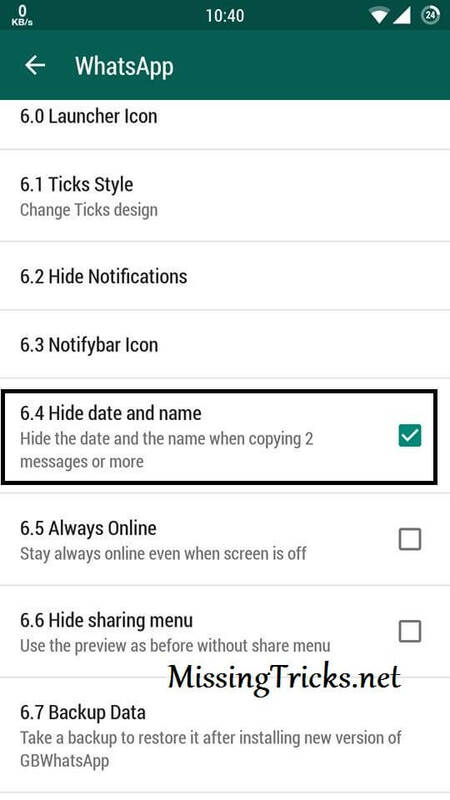 So You may have noticed, If you copy 2 or more than 2 Messages From Whatsapp Chat Conversation at Same Time, It will Copy Date + Time + Name of the Sender too in Clipboard. It irritate Some time because, You may only want to copy the message, and It's Started to Copy Date, Name, Time of Message etc. 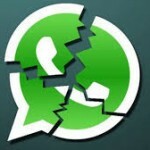 Previously, We was shared How to Run Multiple Whatsapp Accounts on Single Device. So I have Posted Step by Step Guide, Which you can Follow from below, for Solve this Issue, So Let's have a look at it now from below. 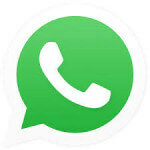 So Guys, Today I will show you about How can you Copy Multiple Messages on Whatsapp, Without the Name of sender, Date, Time. I was also facing The issue of Getting Date, & Names while copying Multiple Messages, and I tried to Search on Google, But I wasn't found any Good Tutorial. 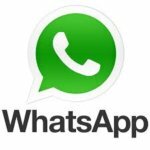 Then I remembered one of the Feature of GBWhatsapp, Which I was posted earlier that It has ability to copy multiple Whatsapp messages without date and name of sender. 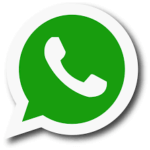 So I Though To Post This Whatsapp Trick, So you can easily Copy Multiple Messages From Whatsapp Easily in Just Few clicks with the help of GBWhatsapp App, Which is the mod apk of official Whatsapp with some more cool features. 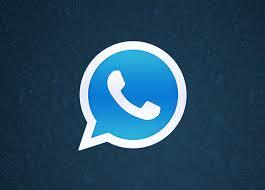 As you can see from above Picture, There is the Difference Between copying the messages from Whatsapp. In First Screenshot, By Default Whatsapp Copy Date and Name with Multiple messages, But in Second Screenshot, It's Not copying Date and Name, So message looks more clean. if you also looking for this method, then you can simply follow the Step by Step Guide now from below. 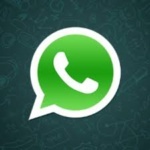 We was also shared a Guide on How to Record Whatsapp Calls, Must Check that out. 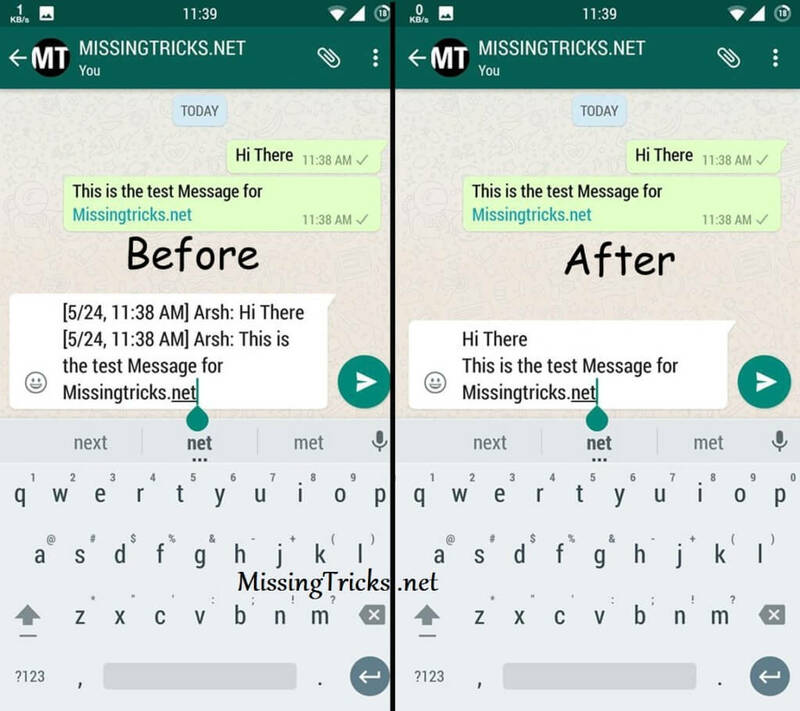 For Use this trick, You need Whatsapp mod apk, Which is GBWhatsapp, So have a look now from below for how to Copy Multiple Messages from whatsapp at once without date and name of sender easily. 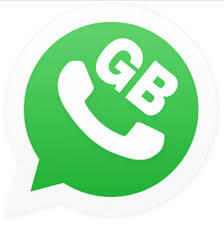 After Successfully Download and Install GBWhatsapp in your Device, Now Simply Open it and It will ask you for verify your Mobile Number. So Enter your Number there, and Press OK Button. 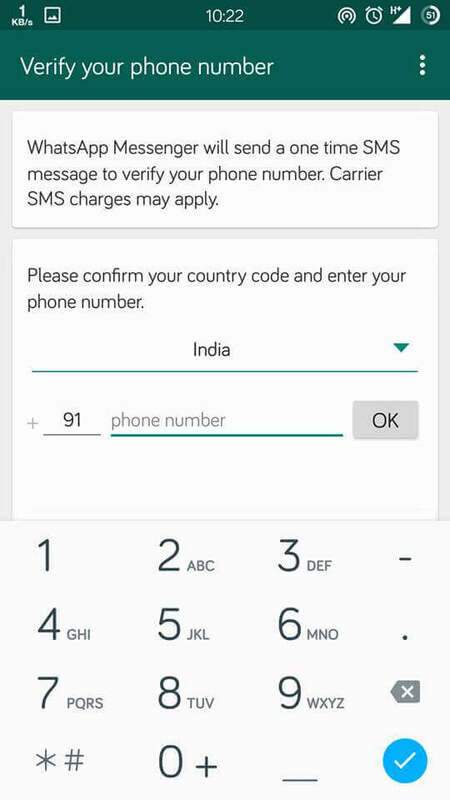 It will Automatically verify your Number via OTP Code, and After this app opens, Press Menu Button of your device, and click on GB Settings option, Just Like Below Screenshot. 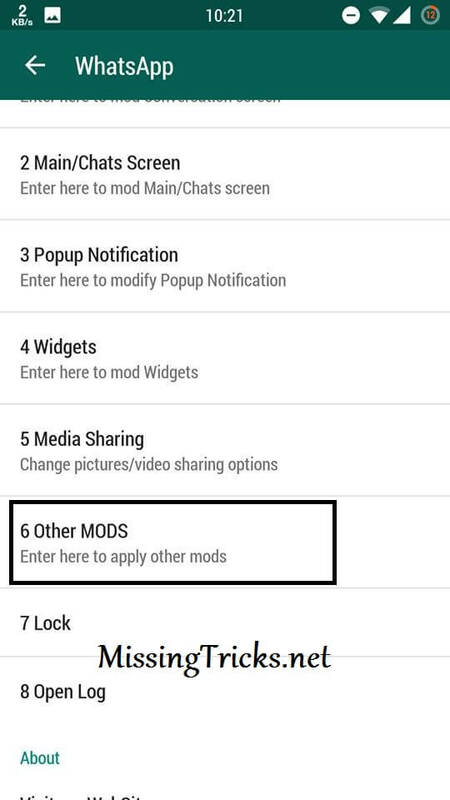 From there, You will see some options, Simply Click on Other MODS option like below Picture. From there, Simply Click on Hide date and name option, and you are done. 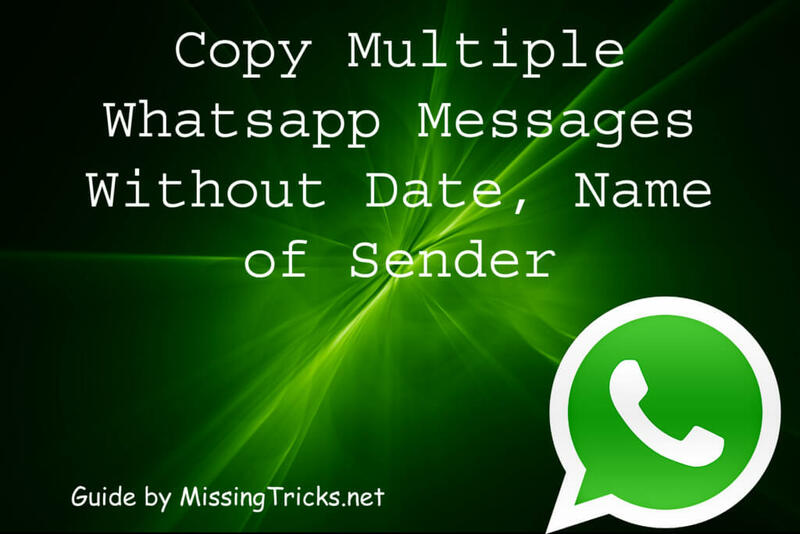 Now Try to Copy any Message from your GBwhatsapp Chat Conversations, It will not copy the date, and name of sender anymore. 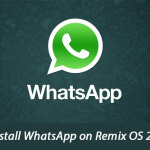 Must Checkout – Enable Whatsapp Chat Heads Without Rooting.